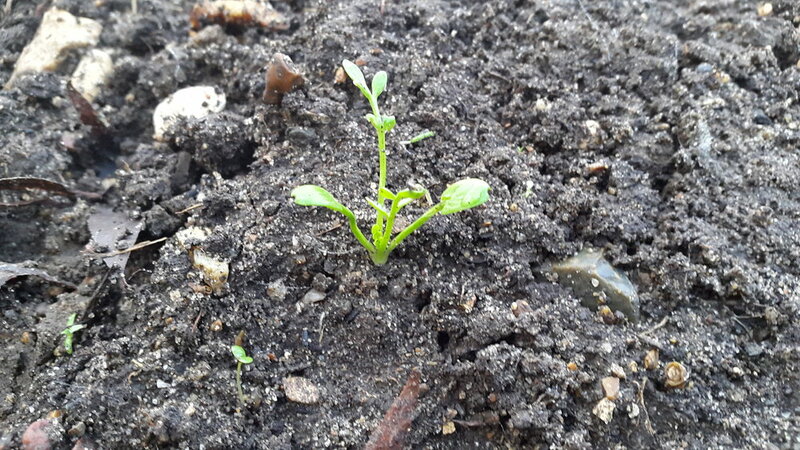 Seeds are germinating in my supposed wildflower meadow. Wildflower seeds maybe! Or weeds...if there's a difference. 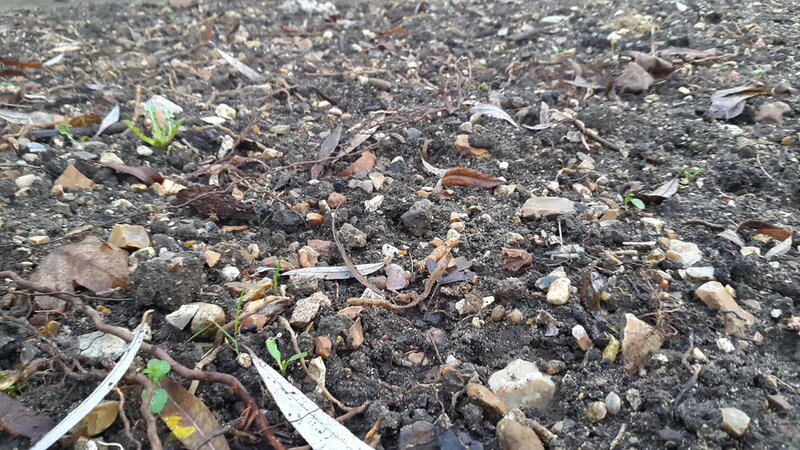 Wonder if they will survive the frosts...did they intend to germinate in December or do they think it's spring?